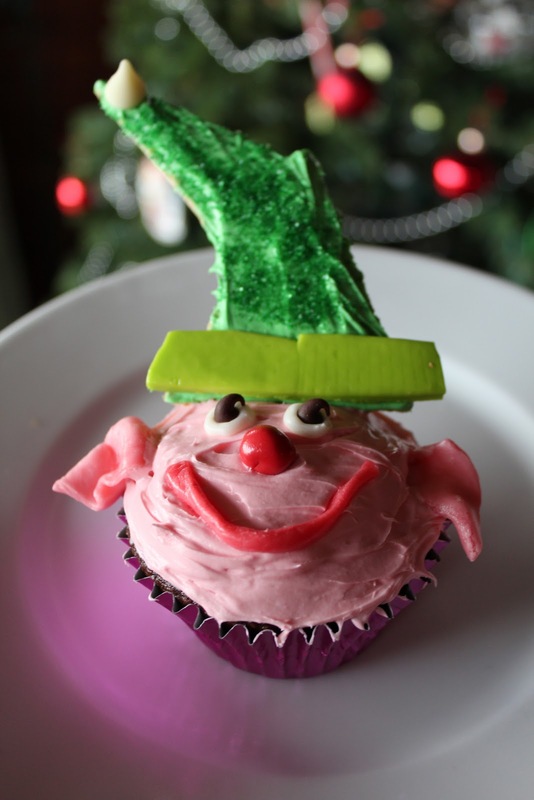 These Elf cupcakes took some time to make, but they turned out to be so cute. To make the hats, use graham crackers, white candy melts and pretzels. I used starbust and soft jolly ranchers for the facial features and hat rim. frosting, sprinkles, white chocolate chips and the candy rim. I decorated the Elf faces with the shaped candy. The eyes are white candy melts and mini chocolate chips. Finally, I inserted the hats in the cupcakes. Not perfect, but oh so cute! is to sing loud for all to hear"